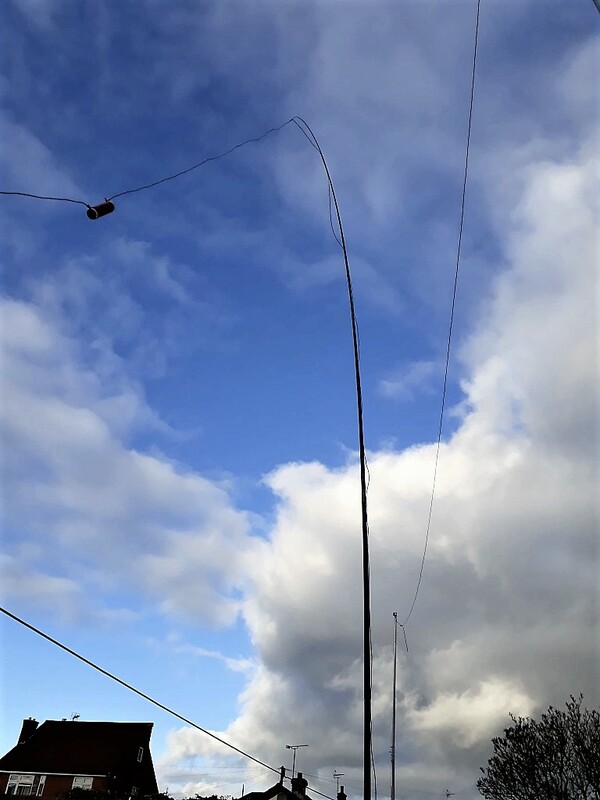 This is a guest post written by Nigel Booth (M0CVO) of M0CVO Antennas. The original article can be found here https://bit.ly/2DlXCxh. After writing the previous article on the small antenna for 40 and 80m HF Bands I was asked by several people for photographs of the antenna in question. Therefore I have done this article as a follow on with pictures. Firstly you need the coil to be wound. This one is 78 turns for 1mm ECW on a 41mm diameter former (plastic pipe) at 140mm long. The screws hold the wire in place as described in previous blog post. 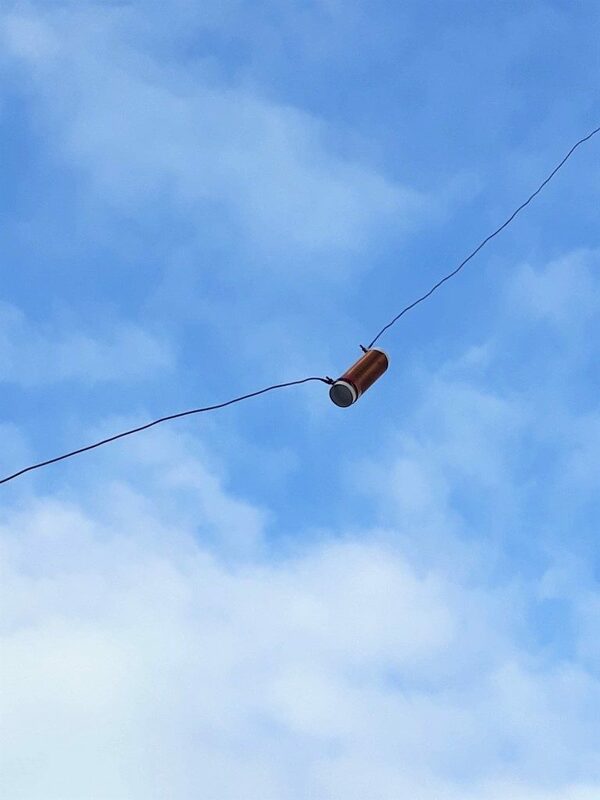 Then you take two lengths of wire – one at 10.14m and one at 2m (or longer – I cut this one at 2.5m) and attach them either side of the coil. Tape the longer section to a fibre glass fishing pole using insulation tape and allow the other end to lay loose beside it. raise the pole and tie the hanging end off to somewhere convenient – I used the fence. 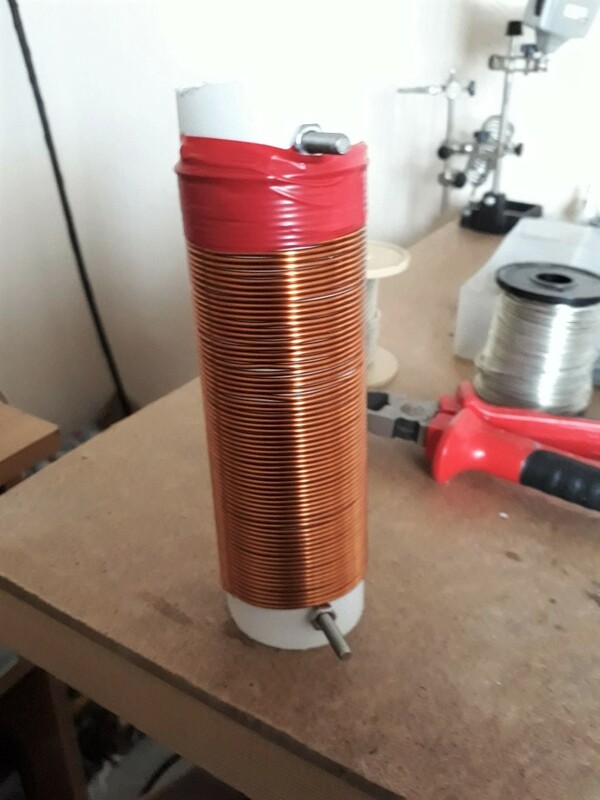 A better picture of the coil on final position. 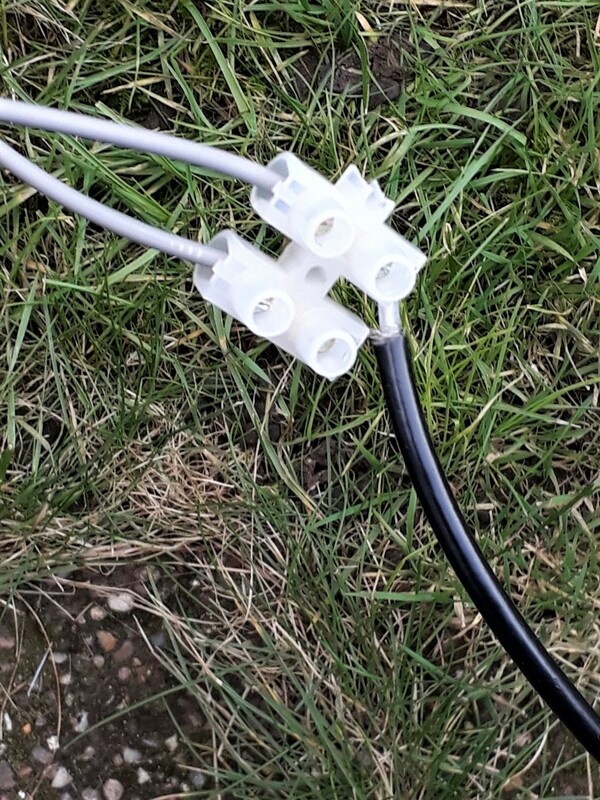 Use of choc block to attach coax cable – second wire is a 10m long earth wire. 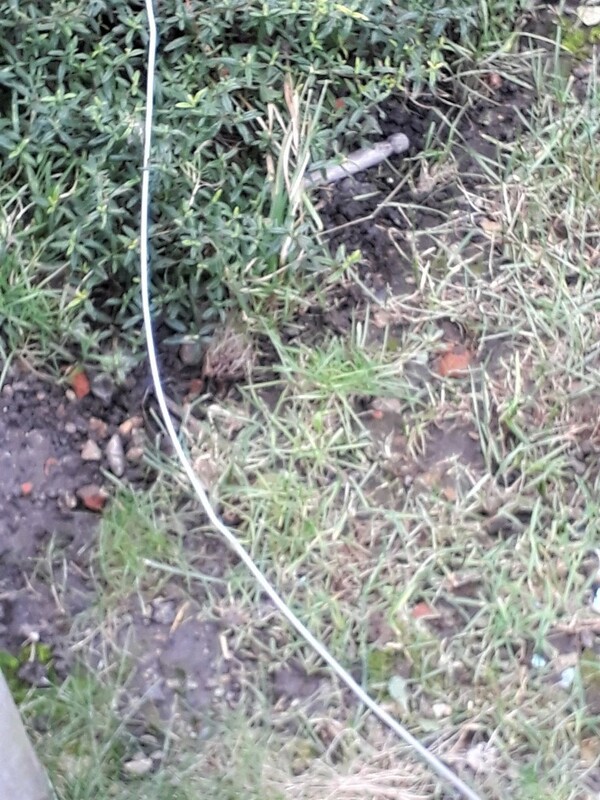 The earth wire is just run around the garden. 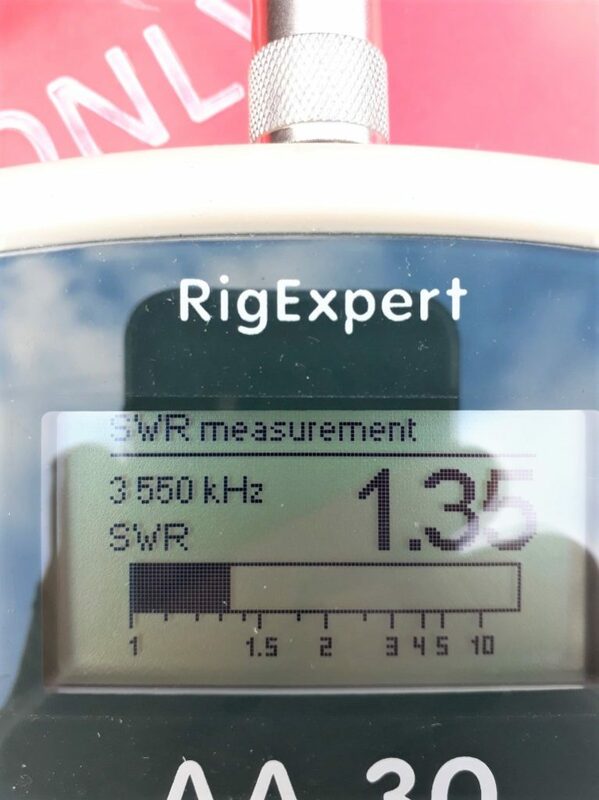 Final test using an AA30 antenna analyser shows the SWR at 3550kHz – just in the right place for a spot of CW DXing. Obviously , if you wanted the sweet spot higher, use a shorter length of wire at the end.